1. Have a feelings check-in. A great to help kids to be mindful of what they’re feeling is just to ask them! I started every class in my resource room with a quick feelings check-in, in which each student shared how they’re feeling with one word. You can read more about it and snag my free feelings chart here. 2. Practice mindful breathing. Breathing mindfully is such an amazing way to help students calm down and practice self control. Starfish breathing is an easy breathing exercise that’s accessible to kids. 3. Read a book about mindfulness. 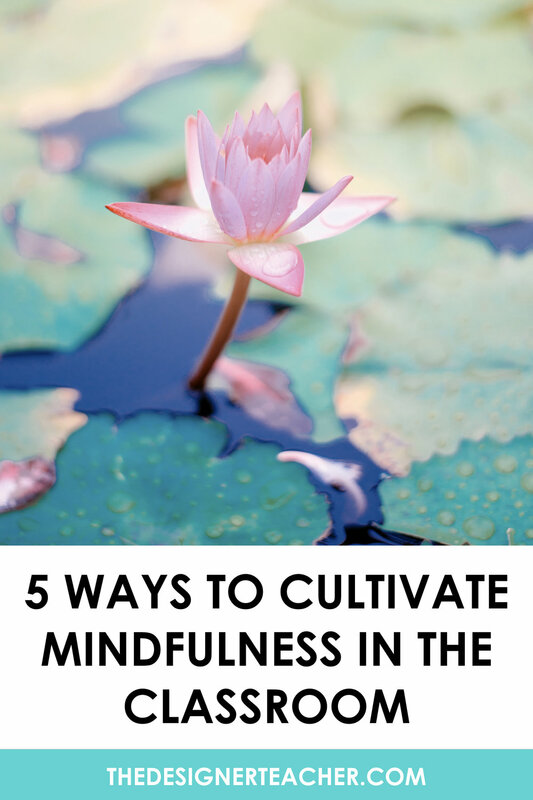 There are so many great kids’ books out there about mindfulness! Try I Am Peace, My Magic Breath, or A Handful of Quiet. 4. Make a mindfulness craft. 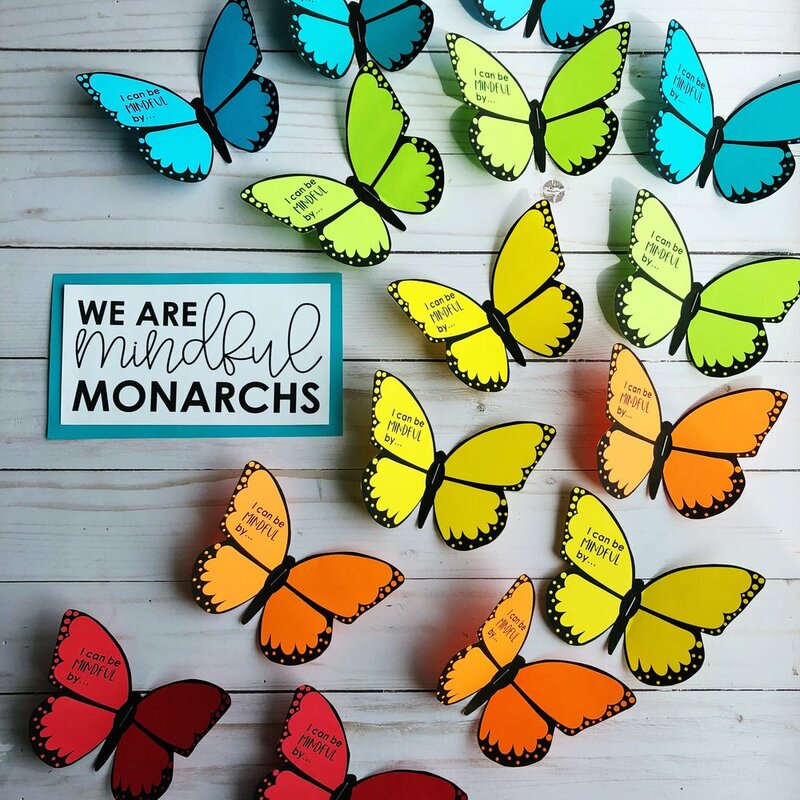 A craft like my mindfulness monarchs is a great way for students to record what they’ve learned about mindfulness and makes a beautiful display and reminder as well. 5. Practice gratitude. Thankfulness isn’t just for Thanksgiving! Having students share what they’re grateful for is a great way to close out the day. I love the gratitude jar The Teacher’s Passport uses in her classroom! Wishing you many mindful moments in your classroom!